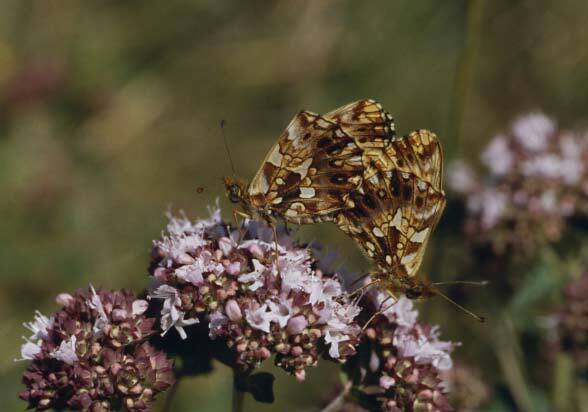 Viola species, often Viola hirta. 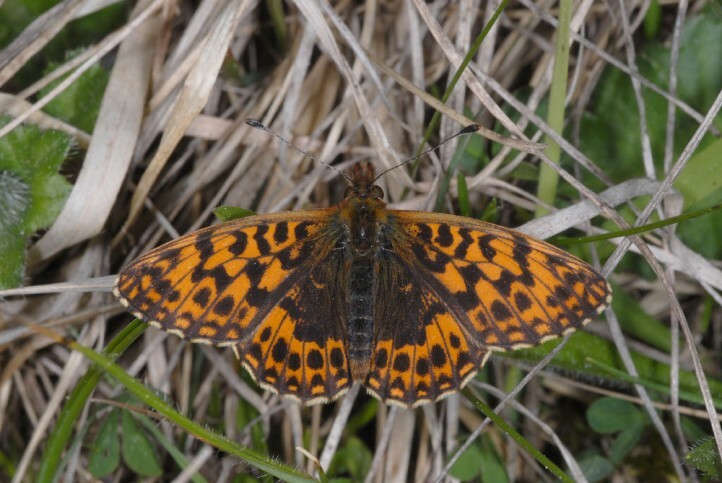 Boloria dia most often colonizes shrub-rich nutrient-poor grasslands, but occasionally forest edges and clearings. 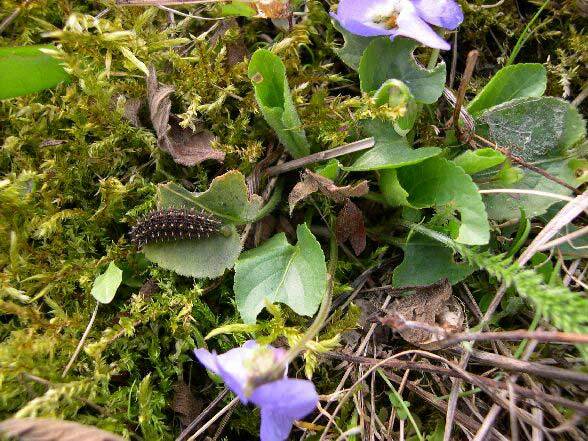 In places it is also found in fens. 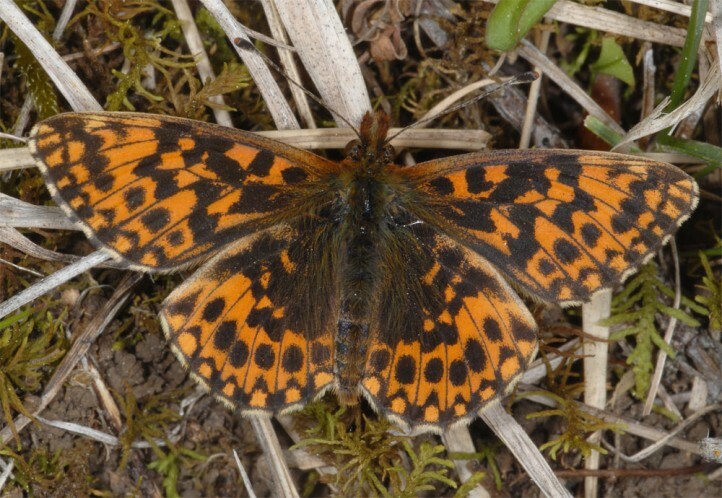 It is largely absent in the Alps. 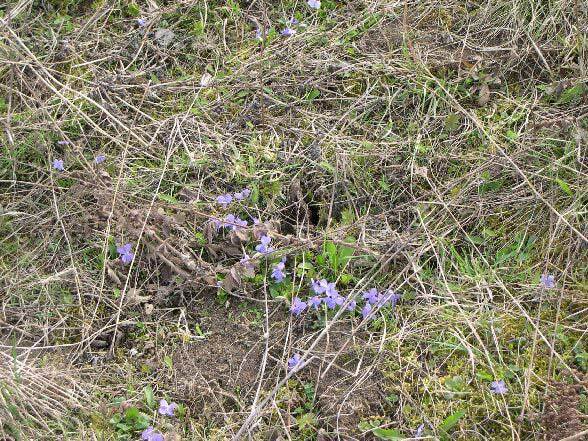 Mostly there are three generations between April and September. 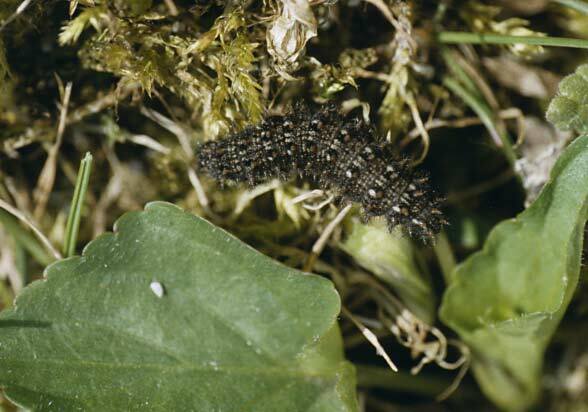 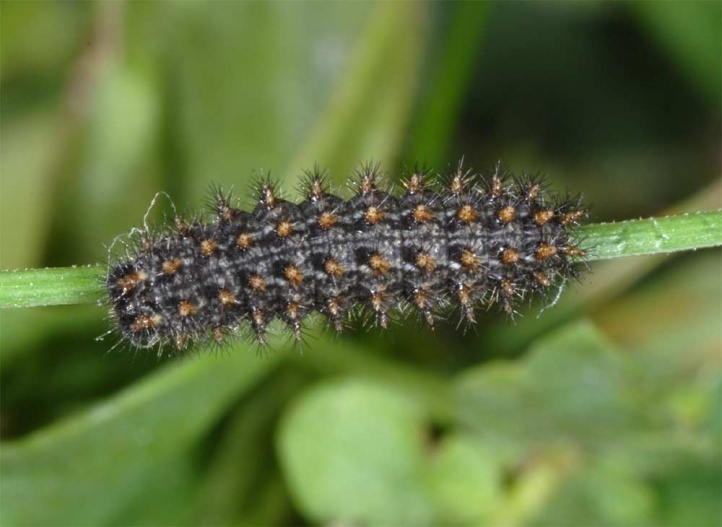 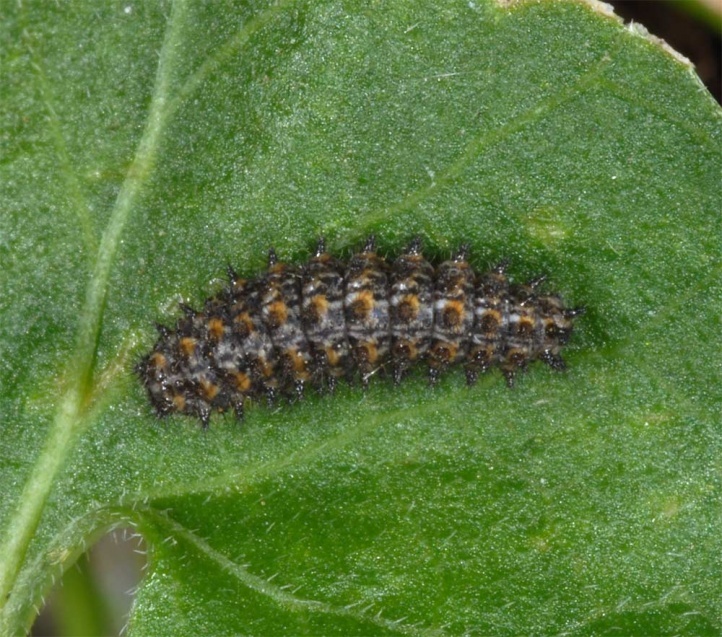 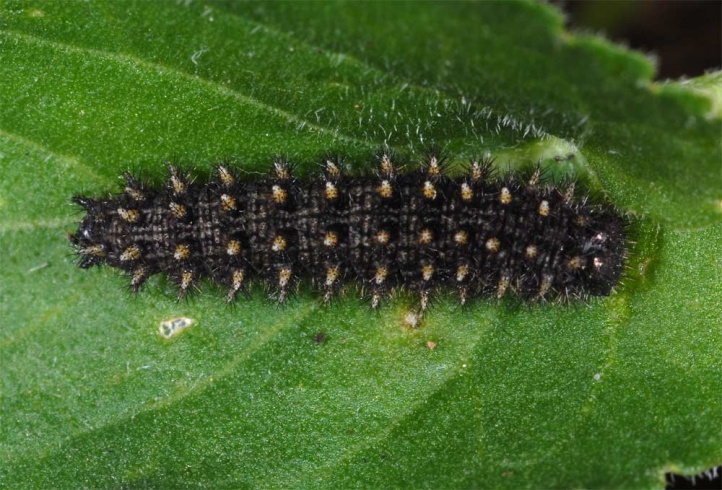 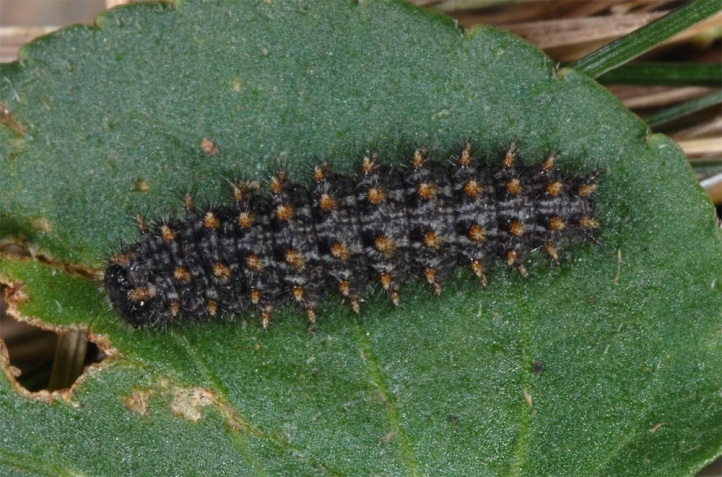 The caterpillar overwinters mostly in penultimate instar. 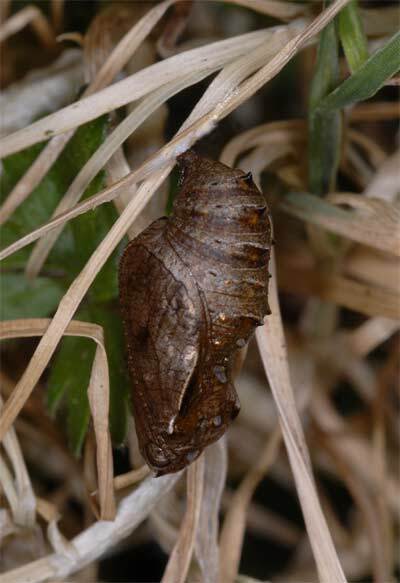 I found numerous larvae from March to May on Viola hirta, feeding at daytime or resting hidden in the moss around the plants. 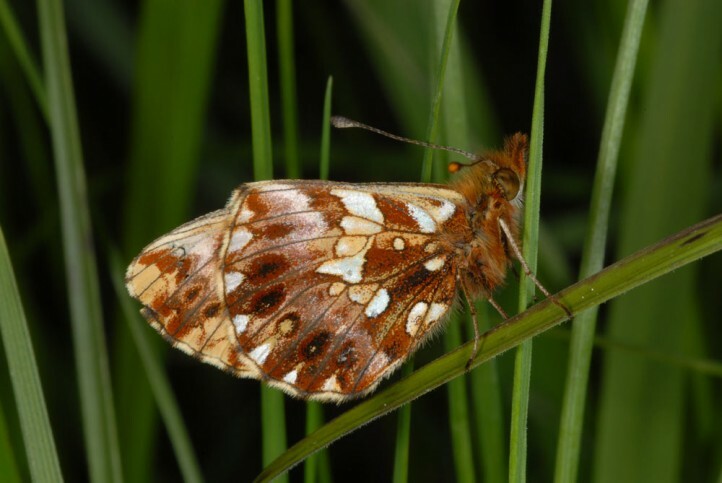 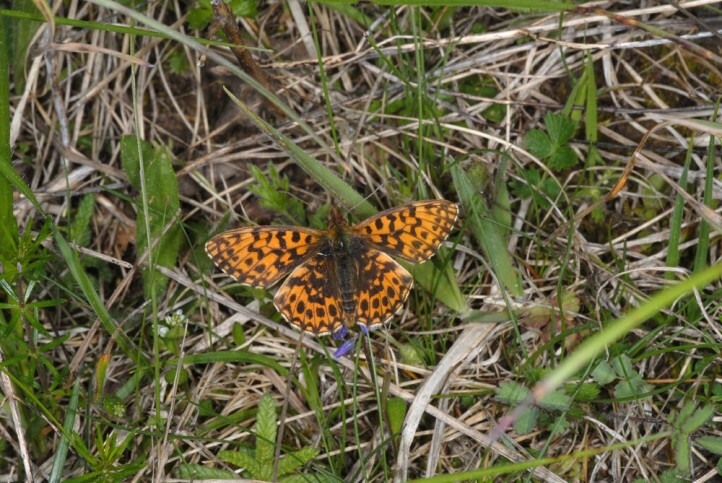 Boloria dia has become quite rare in Central Europe. 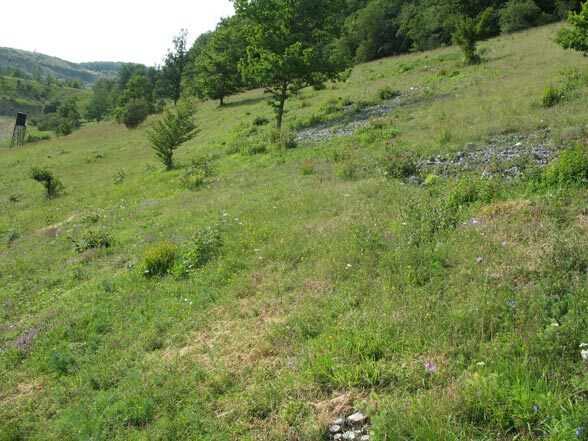 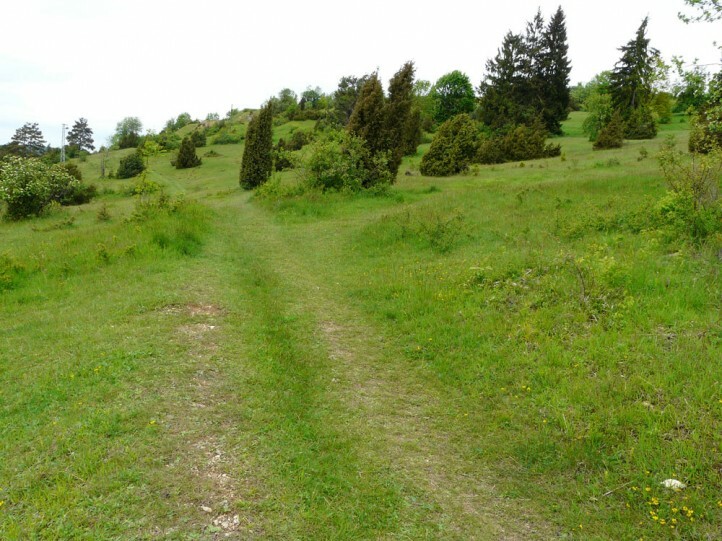 In areas with more nutrient-poor grasslands as in the Swabian Alb region (Germany) it is still more common. 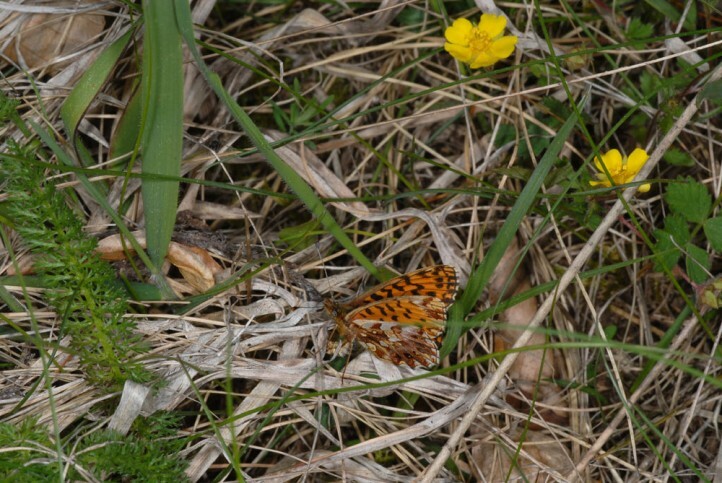 Here Boloria dia even seems to have a rather positive population development at the moment. 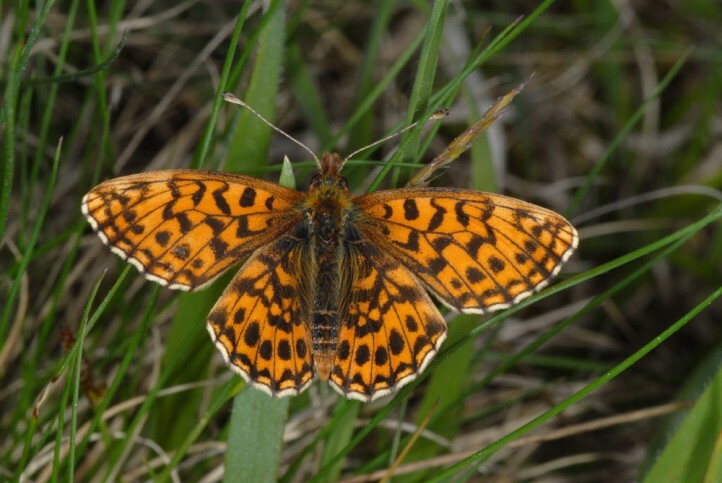 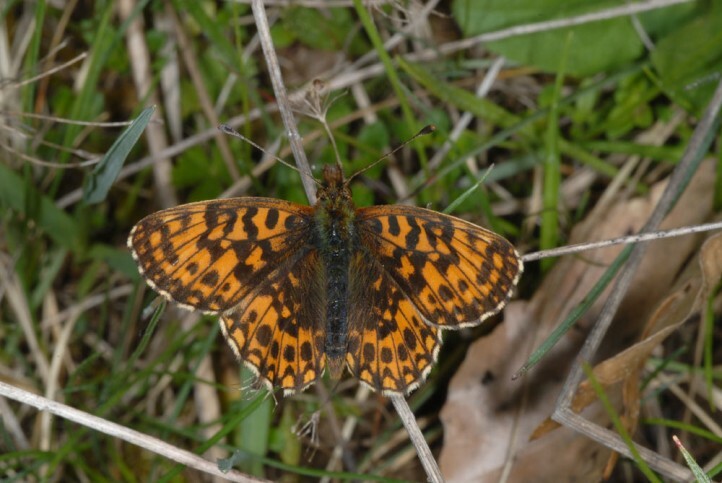 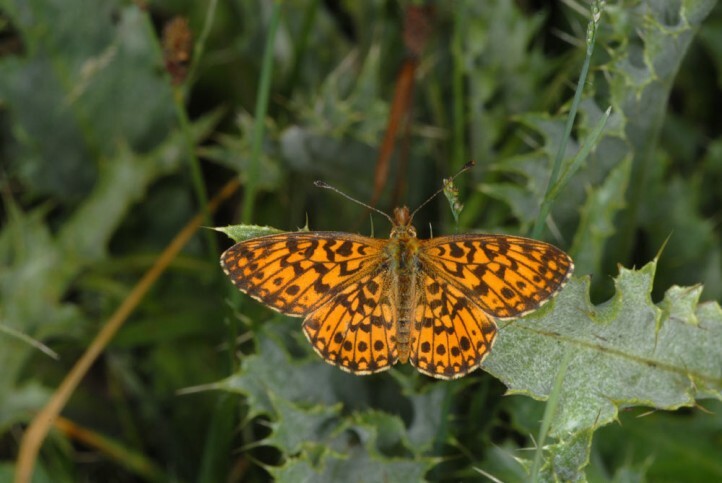 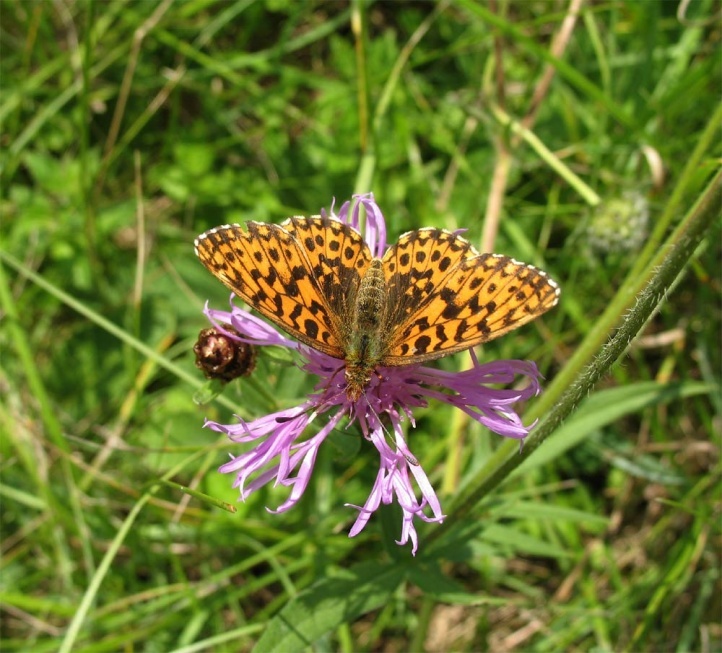 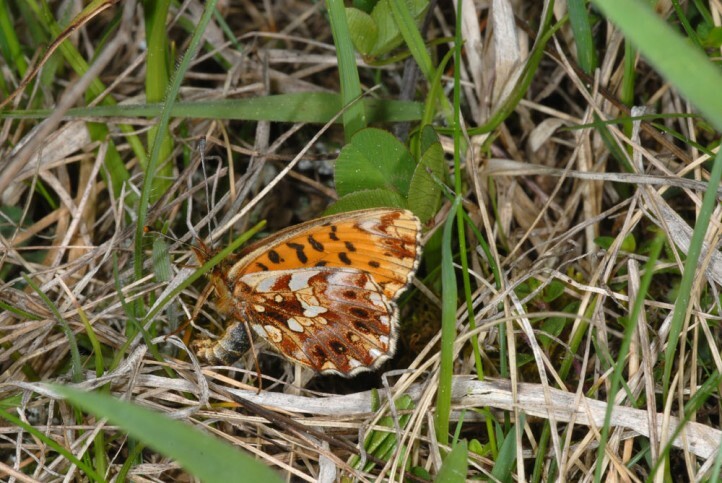 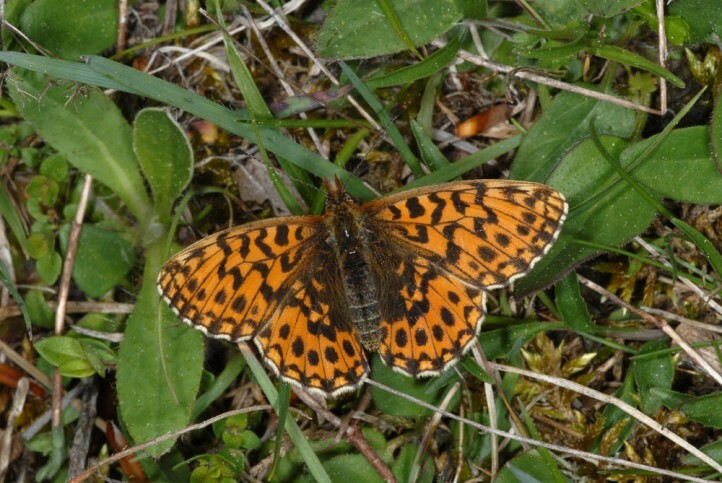 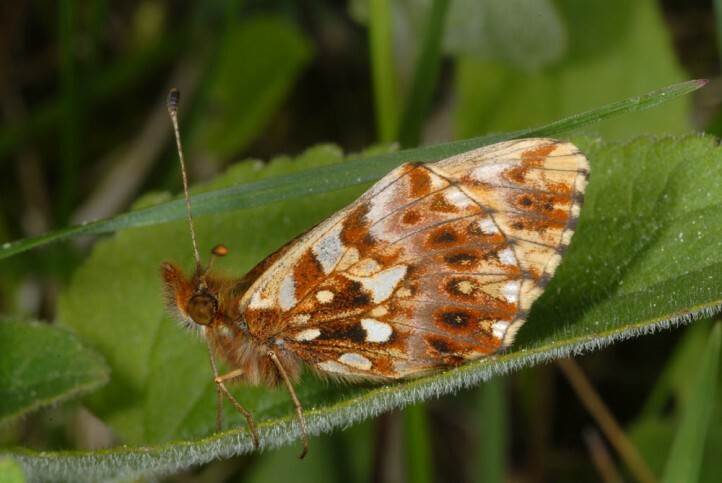 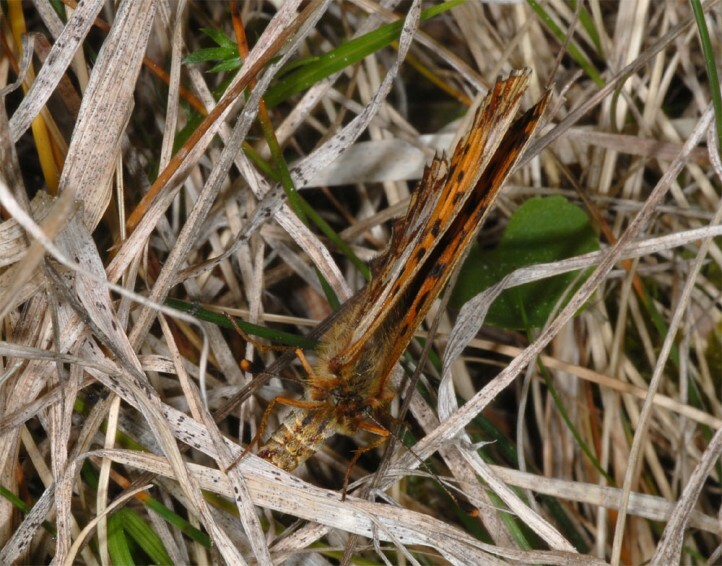 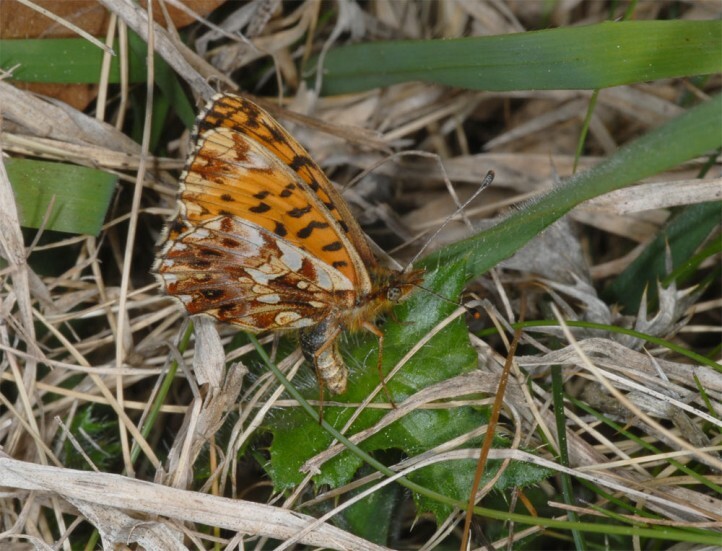 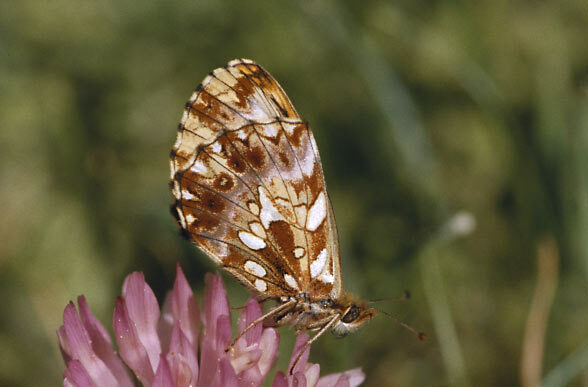 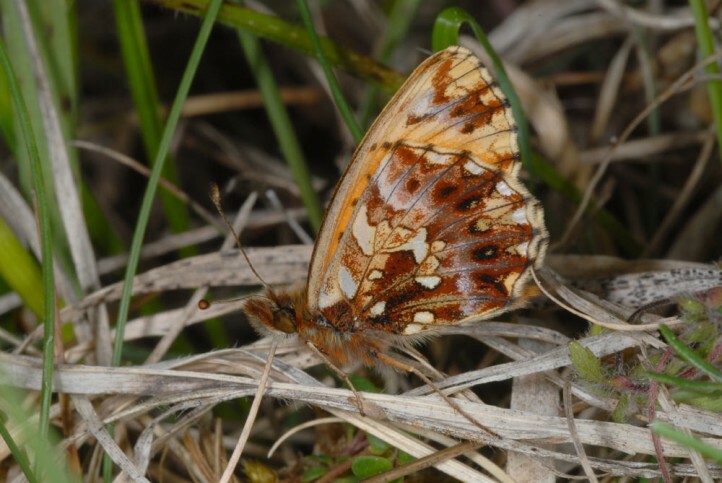 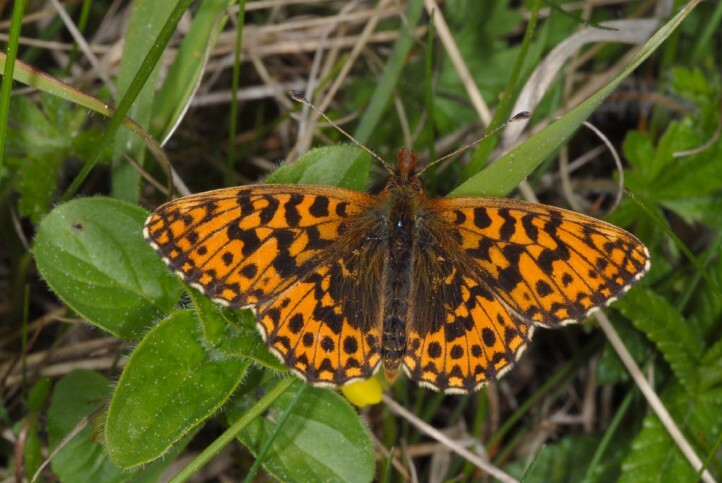 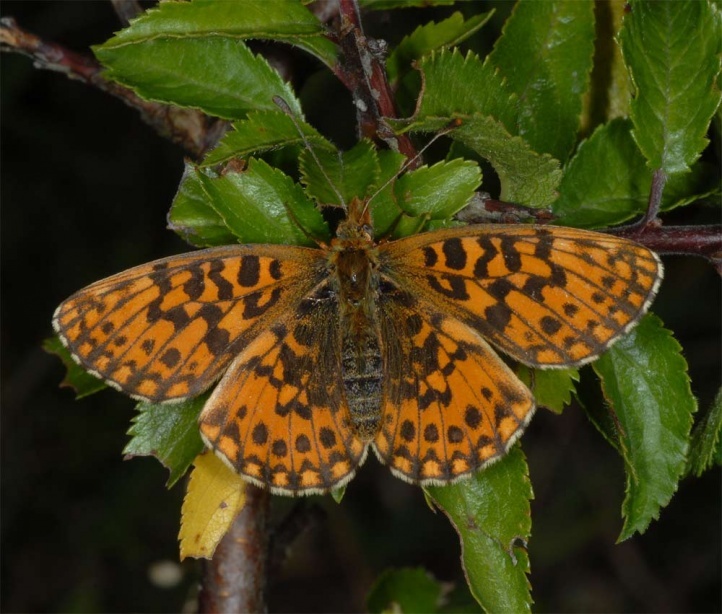 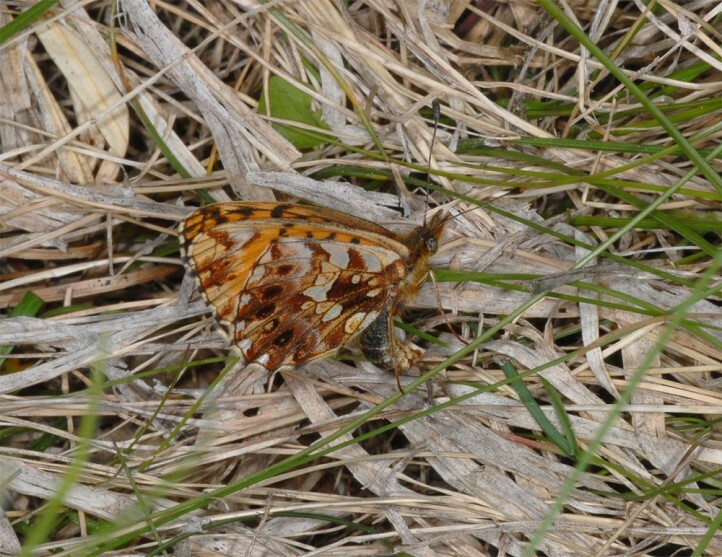 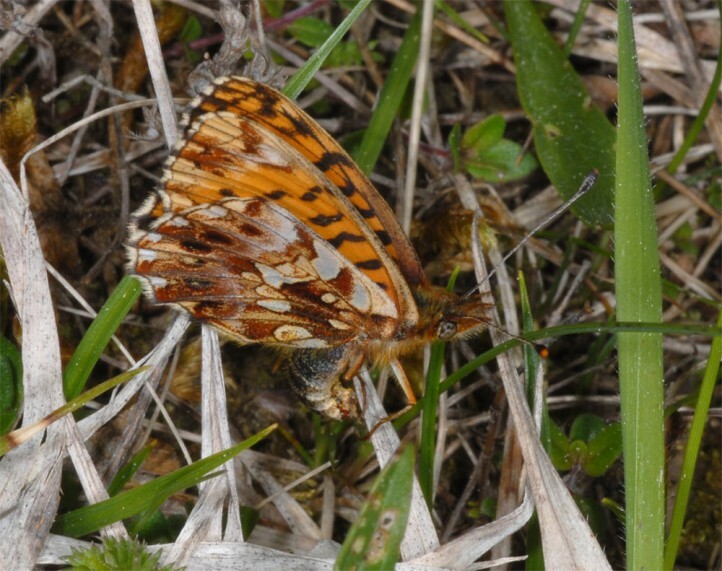 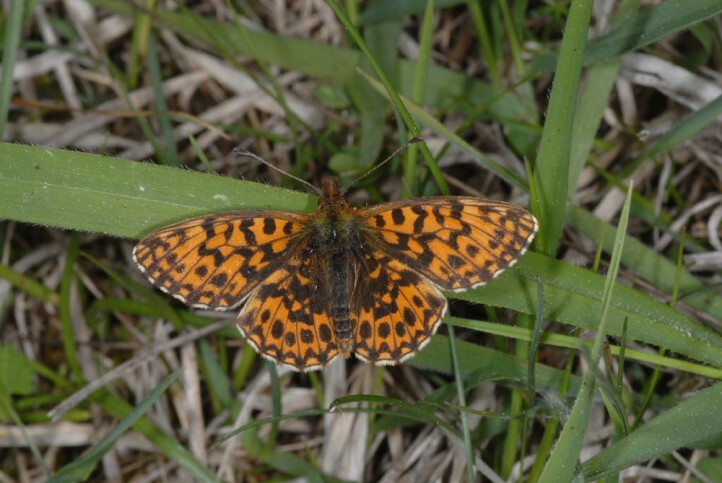 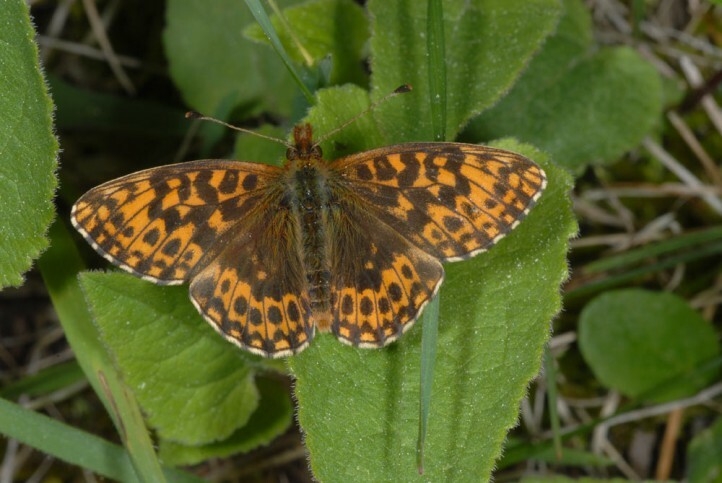 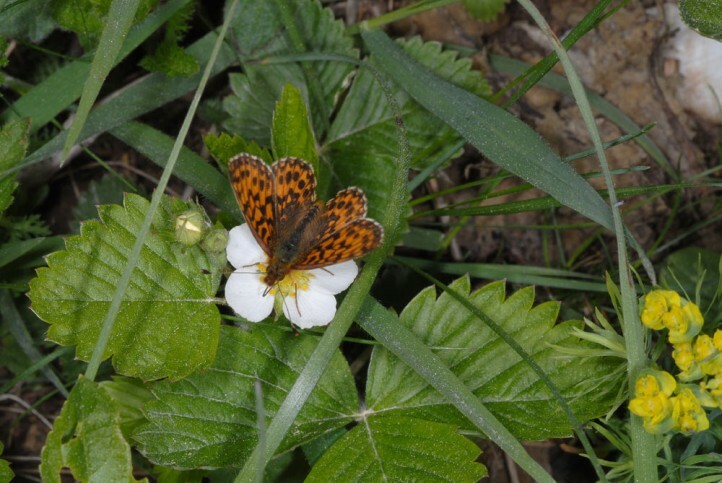 The smallest native fritillary in Central Europe can sometimes be surprisingly common in suitable habitats, especially in the second generation. 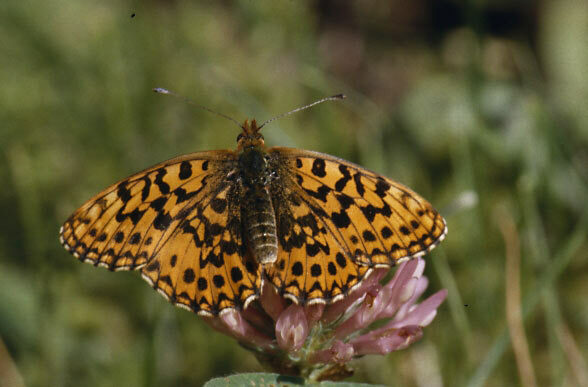 The distribution extends from Northern Spain across Central and parts of Southern Europe (absent in the far north and far south, in Greece southwards about to Mount Olympus) to Mongolia.